Not only Dutch people have problems with spelling rules, certainly when it comes to conjugating verbs. Conjugated forms of verbs, ending on t, d, or worst, on dt, are a nightmare for many a Dutch child, because there is no difference in pronunciation. The French have the same problem, albeit as far as I know not with conjugated verbs. One of our clients lives in Rimont, and around this hamlet (part of the commune of Fley) one sees signs pointing to Rimont or Rimond, and even official bodies like the Cadastre (land registry) use Rimont or Rimond at random. I stick to Rimont, a stronghold of Roman Catholicism. 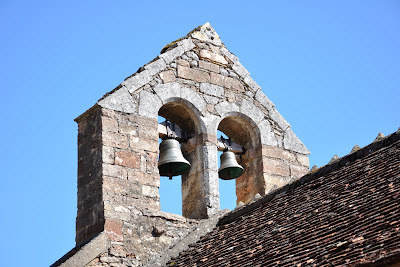 Recently the monastery of Rimont made the local headlines in connection with child abuse by the clergy. Obviously the Brethren and Sisters of Rimont are pulling their weight when it comes to scandals within the church. 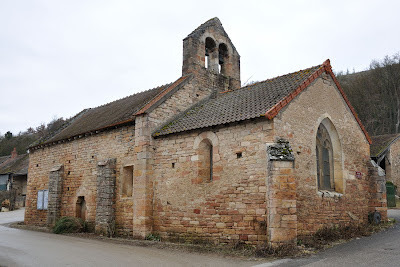 Apart from the buildings of the Frères de Saint Jean and the Soeurs contemplatives en Apostoliques de Saint Jean there is not much going on in Rimont, other than a burst radiator with a client of ours. 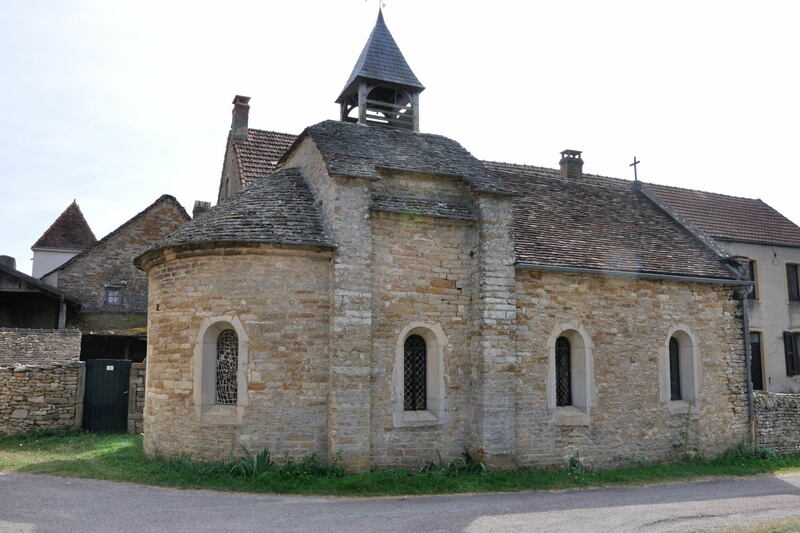 Until I found out that there was a Romanesque chapel in Rimont, through le site sur l'Art Roman en Bourgogne. It appears that the Sisters (this time the Apostolical Sisters of Saint-John) are using an old chapel for their vespers and lauds, although they celebrate mass in the big chapel of the Brethren. The chapel was closed; however, from the outside it was certainly a pretty little chapel. We are organising all sort of things for people owning a second house, and one of the most popular requests is whether we can organise a plumber, certainly after a long and severe frost period, when water pipes or toilet bowls have been burst. The plumber we are normally using lived in Bonnay, and one day, when we needed him and he did not pick up his phone, we decided to look him up personally. When we arrived at his house, it looked like he had moved out. His shutters were closed, his letterbox was open and hung half demolished of the wall, in a word, it looked like a wreck. We went to the only bar in Bonnay, and found out that our Monsieur K. had moved to Burnand. Well, villages are small (so we thought), hence it could not be difficult to find our plumber there. Well, uhmmm, no. After having inspected all letterboxes in Burnand, there was still no trace of Monsieur K.
So we went back to MI5 in Bonnay, and the pub owner gave us Monsieur K.'s new telephone number. 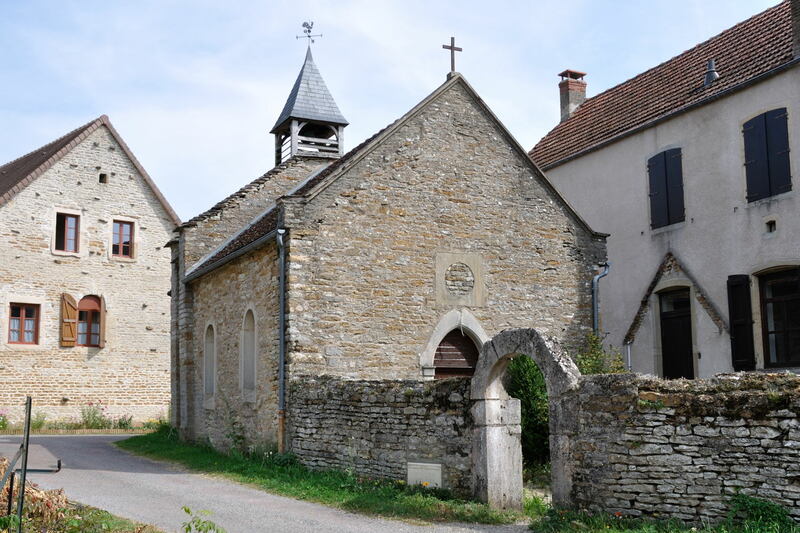 We also found out that Monsieur K. had not moved to Burnand itself, but to a little hamlet called Saint-Martin-de-Croix. Monsieur K. explained where his house was, and the next day we went over to Saint-Martin-de-Croix to meet up with him. 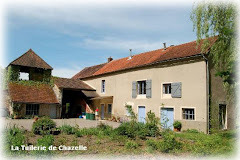 His house was on the main street, not far from the local chapel, and after having arranged for a visit to one of our clients we nipped into the chapel. It resembled very much the one in the previous blog, rectangular in plan, simple, and with a bell tower à la Provence. On le site sur l'Art Roman en Bourgogne the patron saint of the church is not mentioned, hence unknown. 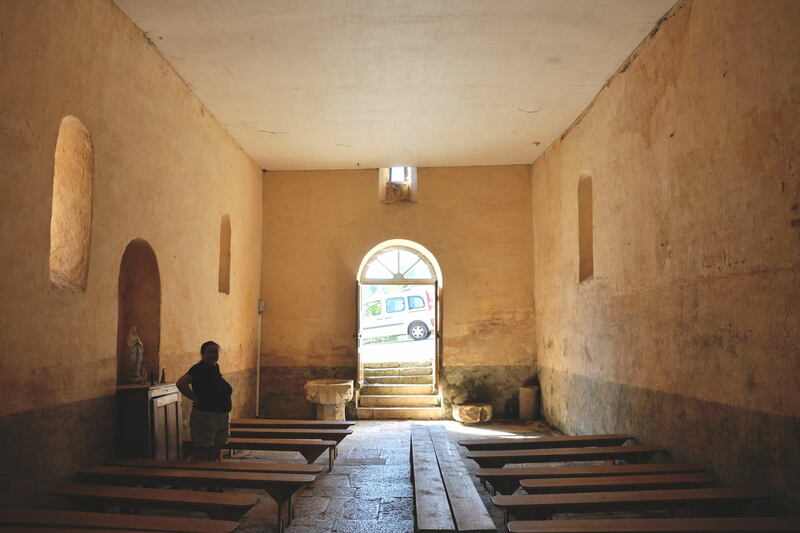 For some more photos of the chapel, click here.